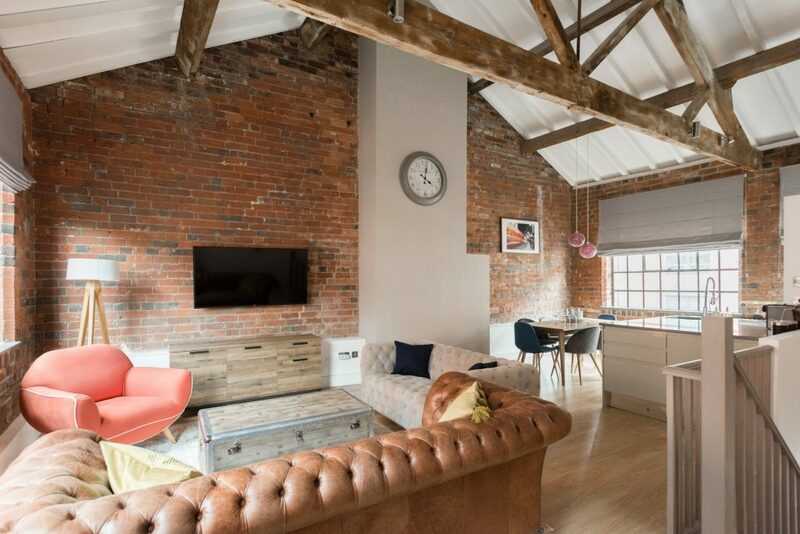 A trendy three bedrooms converted warehouse townhouse in Birmingham’s Jewellery Quarter. 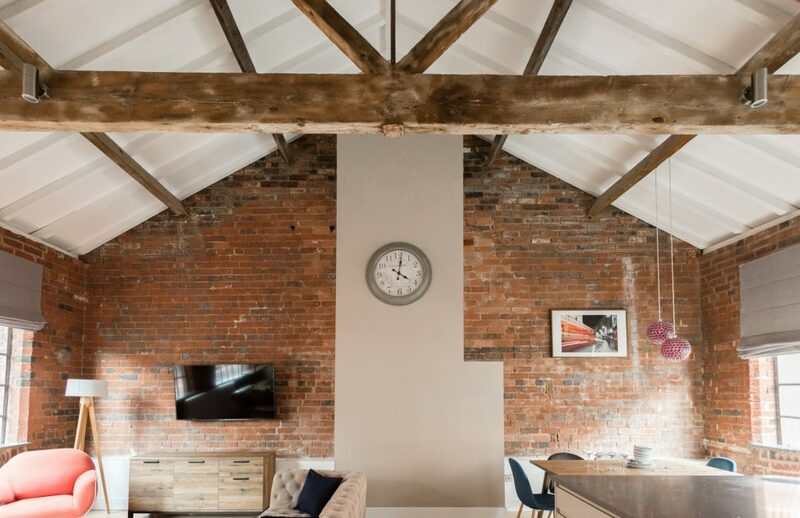 This house screams cool, with its high vaulted ceilings in the open plan kitchen, dining and living area (complete with leather chesterfield!). 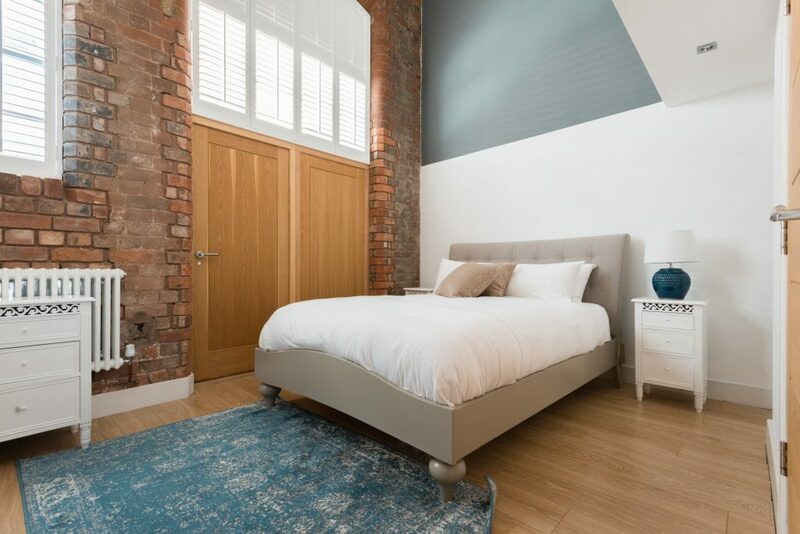 The open, bright house, has 2 bedrooms on the ground floor, the king master bedroom with a en suite bathroom (with rainfall shower) and the 2nd double bedroom adjacent to it. 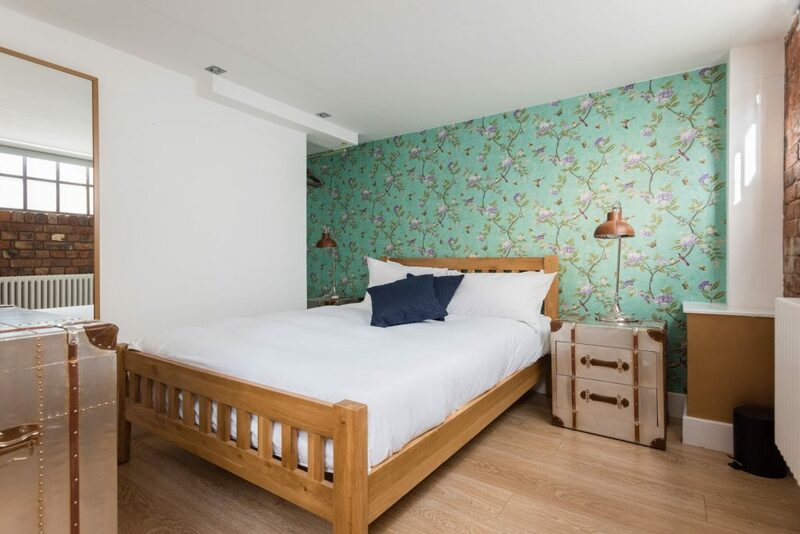 Upstairs is the large family bathroom, as well as a ‘3rd’ bedroom featuring a single bed – this is separated by curtains, but is perfect for the kids, or the odd nights stay. 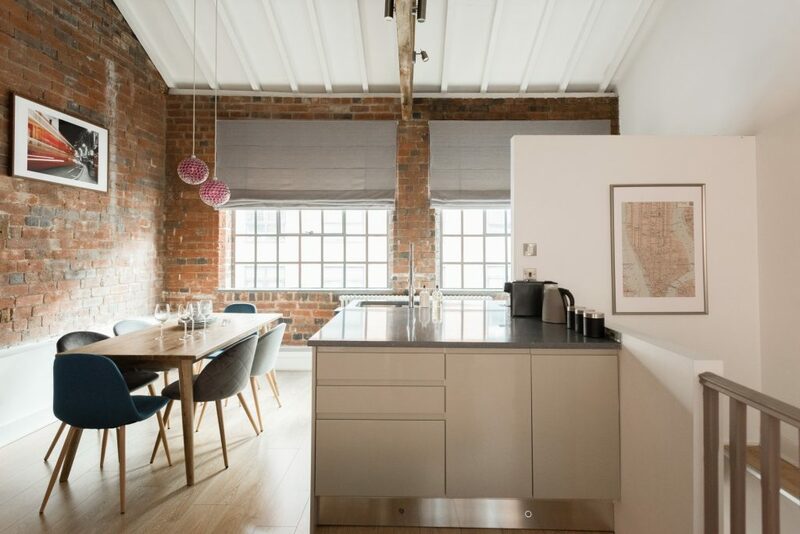 The modern, marble kitchen on the 3rd and top floor, benefits from the high ceilings, and light from either side of the floor. 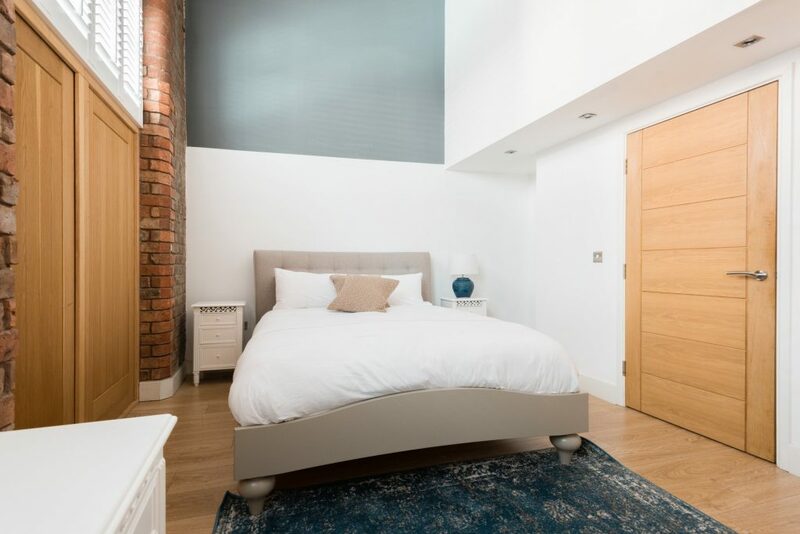 The freestanding bath in the family bathroom, gives you the opportunity to soak the day away, but being in the Jewellery quarter, you’ll be wanting to escape and explore the city. 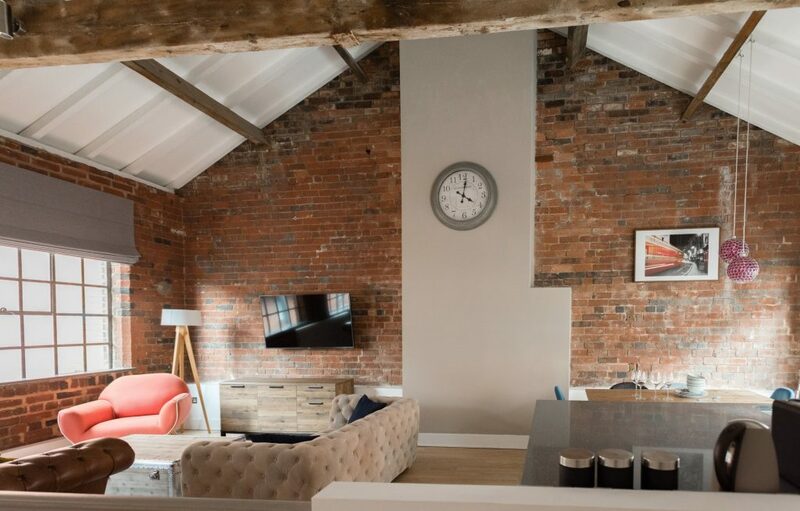 The home has a TV, high speed WiFi, and plenty of space to get work done should you need it. 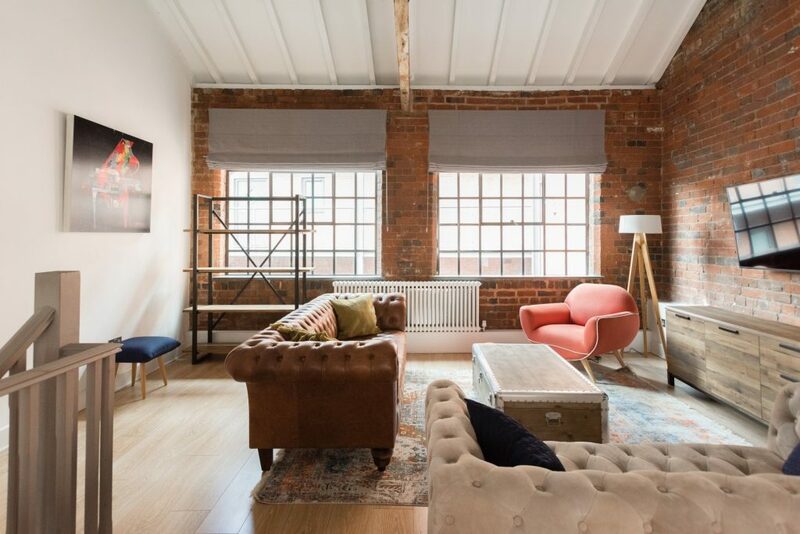 The Jewellery Quarter is one of Birmingham’s trendiest neighbourhoods, full of creative businesses, cool coffee shops, and urban art and culture. 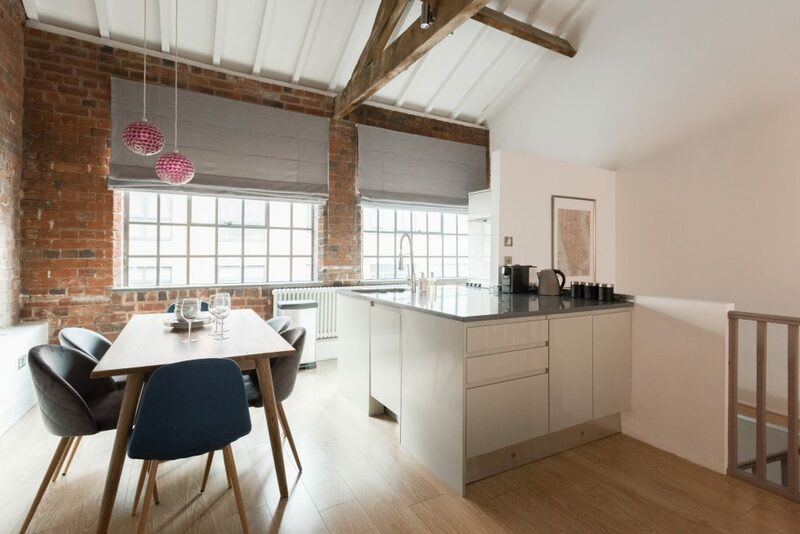 There is a 24 hour Tesco near the property, as well as petrol stations and restaurants nearby. The neighbourhood itself has an artsy vibe and is rich with culture, but it’s also central so it’s convenient to get out and explore the city. There are several parks and green spaces, as well as the Old Canal Line in walking distance, so an afternoon exploring outside is easy and beautiful. 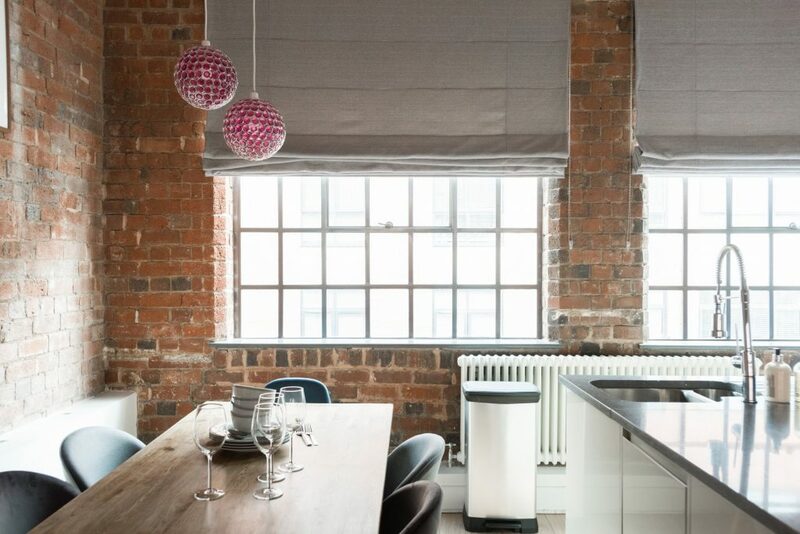 Given the location of the home, most of Birmingham’s centre is in walking distance or only a very short drive away. You’ll also be able to hail a Birmingham taxi or use Uber to get around. 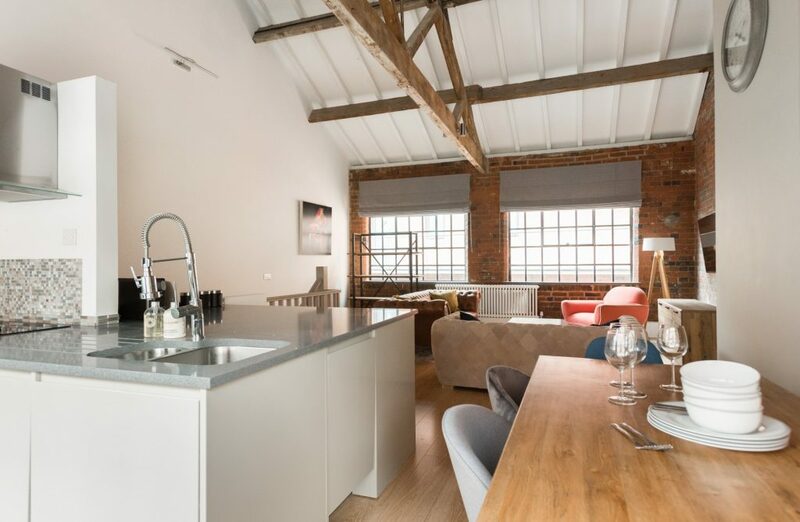 This home is well connected to transport and those visiting Birmingham for events should have no trouble getting to and from venues at night.